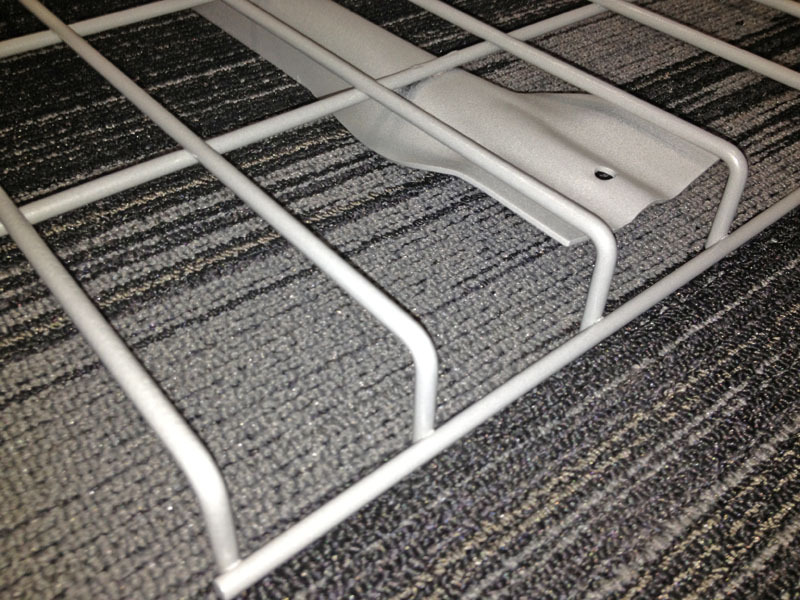 Wire deck is a useful product that can provide safety from objects falling from pallet racks. Powder coat wire decks come in sizes to fit any pallet rack size offered from SJF, however they must be used with step beams (see step deck section below). Special 72 Hour Quick Ship available on several sizes. Call for details. Also of note - these decks are not currently in stock at SJF. If you're ordering these in conjunction with SJF pallet racks, there will need to be two shipments unless you choose galvanized wire decks instead. All powder coat wire decks feature a tough powder coat finish for a durable, long lasting product that will stand up over hard use. These decks provide a storage solution that meets OSHA and local fire code standards. SJF's standard wire decks have a weight capacity of 2500 lbs. per piece based on evenly distributed loads. These decks are not designed or rated for point loading. Please call SJF if you have any questions on wire decking for pallet racks. These decks are not the 'Universal' style, but rather are the box/step style decks. This means that the beams you use must have a 1-5/8" step to accommodate these decks. Constructed using only prime, US made high strength steel. Wide array of sizes and capacities available to meet your every need. 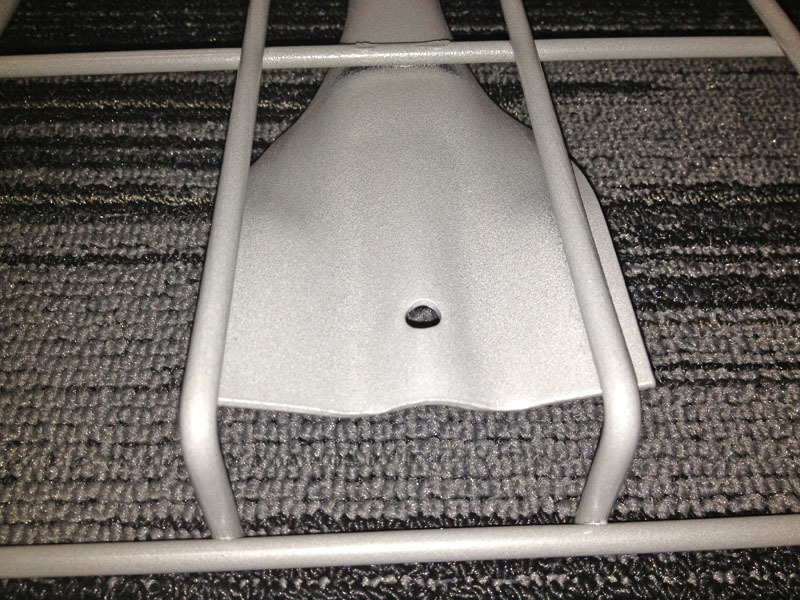 Comes standard with a tough, but very nice looking powder-coat finish. Improves lighting and eliminates dust accumulation. Heavy-duty capacity in a light, easy to handle shelf deck. SJF also carries a complete line of new pallet rack and used pallet racks. FOB: AZ & OH. Shipping information and costs for this item will be emailed to you when you submit your order. NO orders are processed prior to ship costs being sent and confirmed by you. 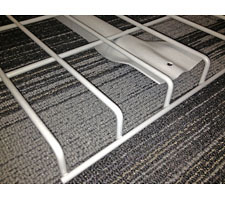 Wire deck provides a storage deck solution that meets OSHA and local fire code standards. Create a secure storage environment anywhere in your warehouse with 4-sided wire cages. Keep flammable liquids safe and secure in these storage cabinets. 1 Upright Frame & 4 beams make up this section of Pallet Rack. 2 Upright Frames & 4 beams make up this section of Pallet Rack. I shopped around and SJF had what I needed and had it in stock. Purchased my decks and had them installed this weekend. Everything looks and works great. Your install guys did a great job. Ordered decks Monday and got them here and setup in 2 days. Thanks for the great service. I will buy more decks from here in the future. This is the 2nd time I have purchased these decks at SJF.com. I have been very happy with the pricing and delivery. NO problems each time. I will buy from you again when I need more. 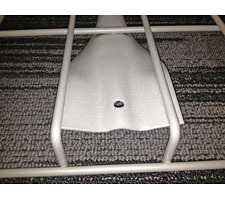 I was very happy with the pricing and service I got buying racks online with your company. I received and installed the product last week and it looks and works great. I will recommend your company to others I know. Thanks again .